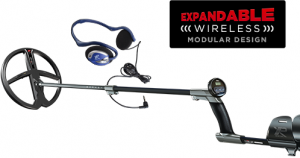 XP boasts the creation of XP-DEUS, the first wireless metal detector as well as the first completely telescopic S-shaped stem. Clearly, at first glance, the XP Deus receives a couple of points for its innovative metal detector. It is now time to take a look at whether the device lives up to its full potential. For the most part, the XP Deus resembles most other metal detectors. It consists of a coil, stem, and control box. I like the quality of this product, I know it doesn’t come cheap but it’s made for the metal detector enthusiasts. There is the very obvious lack of the wire wrapped around the lower part of the stem. The audio headphones that are also a part of this piece of equipment do not require wires either which is a great addition to the mobility when you are moving in fields. The remote control and the headphones receive signals by means of a digital radio link. The search coil has the elements to process the signals. This is then digitised and analyzed at the source via an ultra-miniature digital circuit. Once the information is processed, it is sent to the remote control and the headphones with the help of radio link. The XP DEUS can easily be folded due to the design of the S-stem. This way it can be stored without needing to be dismantled. Once collapsed, it also takes up less space when stored. The rubber handle also makes it more comfortable to manage. The shape and the structure of the telescopic stem make it much easier to move the metal detector around. It also has that very important factor that is required for manoeuvrable devices – weight. This is where the lack of wires really comes in handy. Overall, the XP Deus weighs a mere 987 grams. When you take away the control, it stands at 887 grams. This is definitely something to take into consideration if you are planning on using it for long periods of time. The XP DEUS remote control has six buttons. These are the Power, Menu, Ground Balance (GB), Change Program, and Pinpoint buttons. Situated above these buttons is the LED screen. The screen gives you access to the time, name of active program, battery level of the coil and remote, and analog scale of target conductivity. It also shows ground mineralization index, mineralization strength, level of ground effect corrections, profile, and detection frequency. Using the Ground Balance Button, you have access to four different modes – Manual, Pumping, Tracking, and Beach ON/OFF. These are not to be confused with the four non-motion modes also present with this device. Non-motion Audio Disc: distinguishes between “good” targets and ferrous ones. Can be used for both general use as well as mineralised ground. The XP Deus is not a metal detector that you can simply turn on and begin using. You are going to need to go through the manual carefully and figure out how to use each setting. The discrimination, reactivity, iron volume, audio response, and frequency can all be altered with the MENU button. This can be done by using the buttons for increasing and decreasing. The frequency can be manipulated from 4 kHz to 18 kHz. When compared with its predecessors, the XP Deus does have a few superior qualities, wireless technology notwithstanding. One such feature is the Tonal Discrimination. This allows the user to manipulate sizes and tone pitches up to four different conductivity ranges. This way, the user can reject or accept the targets based on the conductivities that you have decided upon. Another advantage of the XP Deus is with its audio headphones. 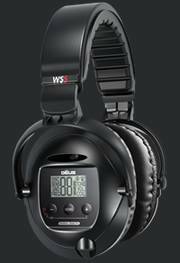 Due to the wireless nature of this metal detector, the signals are sent to both the audio headphones and the remote control in real time. This means that you can work with just the audio headphones alone. In addition to being weatherproof, these headphones actually allow you to change the functions with the headphones themselves. The Reactivity option of this metal detector is also incredibly useful. It allows you to alter the width of the coil’s electromagnetic field depending on the target that you are hoping to find. There is a high-speed sweep option available with the XP Deus. This should be used with caution, however, as it can cause you to miss out on certain targets. When used at a typical speed, however, there is an impressive distinction between ferrous and non-ferrous items. Particularly if run at a reactivity of 2 or 3. Overall, the XP Deus seems to get glowing recommendations. In an age where everything is going wireless, your metal detector might as well too. If you do not mind the price tag, this is certainly not a metal detector that you should miss out on. While there are not too many complaints about this machine, it is certainly not something that should be wielded by a beginner. This is a technologically advanced metal detector and it shows with the options and the controls. If you are willing to be patient and go over the manual with a fine toothed comb, you will eventually get the hang of it. While there is no doubt that this a truly useful detector, you will need to get used to it first. For an advanced metal detector that is a cut above the rest, the XP Deus is definitely a good purchase. I’m one of the founders of this blog. 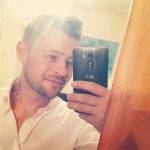 A 32 yr old from Lincolnshire & proud father of 3 beautiful children. My first metal detector was a garret ace 150 but I am currently using the Garrett ace 400i. My best find was a roman coin. Feel free to ask me any questions. When will we have one with ground penetrating radar and a nine in. screen?